Wits PhD student Blair McPhee has described a new species of dinosaur in a paper to be published in Scientific Reports on 19 September 2015. The new dinosaur, named Pulanesaura eocollum, means the "Rain lizard". This is unlike more primitive prosauropod (scientifically referred to as "basal sauropodomorph") dinosaurs, which still relied on the forelimb to aid in gathering food from across a broad range of the forest canopy. Much more common at that time in South Africa were bipedal or semi-bipedal sauropodomorph dinosaurs like Massospondylus and Antetonitrus. This might have been because the unique feeding strategy of Pulanesaura restricted the number of lower-browsing dinosaurs that the early Jurassic landscape could have supported. "This dinosaur showcases the unexpected diversity of locomotion and feeding strategies present in South Africa 200 million years ago. This has serious implications for how dinosaurs were carving up their ecosystems," says McPhee. "We used to think that only two species of sauropodomorph dinosaur were present in South Africa. Now we know that the picture was much more complicated, with lots of species present. But Pulanesaura is still special because it was doing something that all these newly discovered species weren't," says Choiniere. 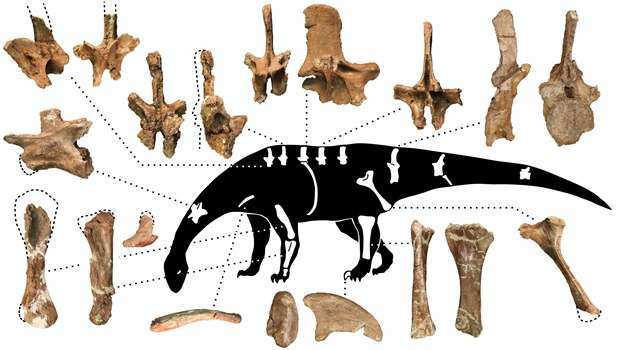 Bonnan adds, "The traditional picture of sauropod evolution is that when they came onto the scene, the other sauropodomorphs were pushed aside. Pulanesaura turns this notion on its head. Sauropod evolution was occurring alongside and influenced by competition with their sauropodomorph brethren." The late Naude Bremer, former owner of Heelbo, was a strong proponent of palaeontology on his farm. "Pulane" was the childhood Sesotho nickname of Bremer's daughter, Panie. Roughly translated, "Pulane" means "comes with rain," and Pulanesaura was excavated during a particularly rainy period on the property. "The dinosaur fossils we see at Heelbo are different from the typical South African Early Jurassic species and they might have been living in a rare habitat different than the drier ones favoured by famous species like Massospondylus," he says. "Similar to modern arid environments, the river banks would have supported much denser vegetation that would have provided plenty of food to budding giants," Neveling adds.